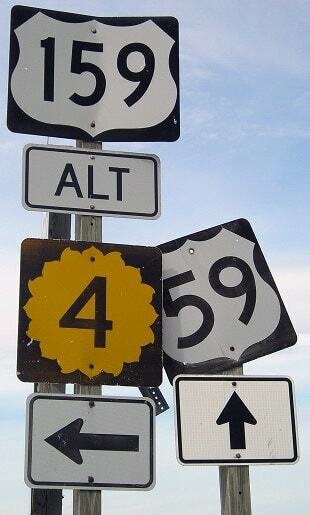 The green sign in the middleground is at US 59 (it runs east-west at this point; northbound is to the left). 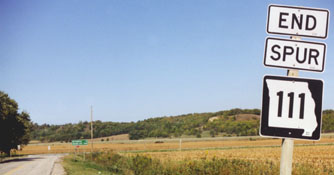 I-29 is in the distance, at the foot of the bluffs in the background. 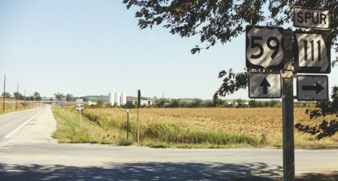 Mainline MO 111 splits off to the left about a half-mile behind the camera; the segment that continues due north from there is designated "Spur 111". 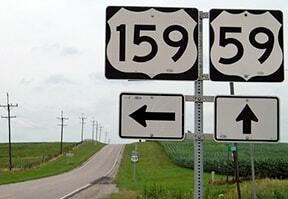 Assuming that bypass was built before 1974, that is where US 159 ended. 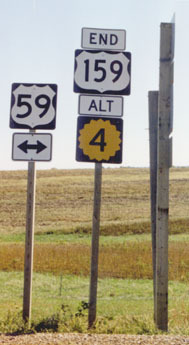 The interchange with I-29 is about three miles ahead. 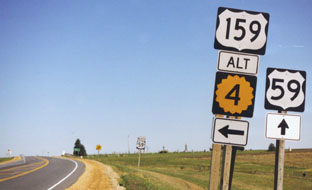 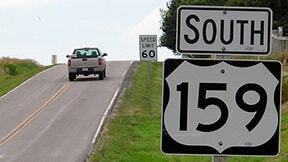 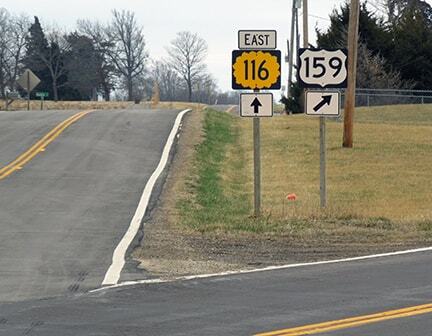 Because US 159's northern terminus was moved to this new location, the route has lost its functionality as a shortcut between its endpoints on US 59. 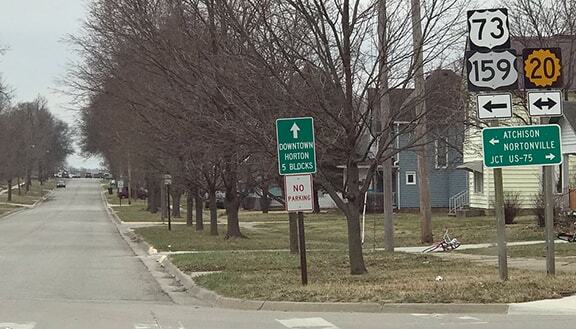 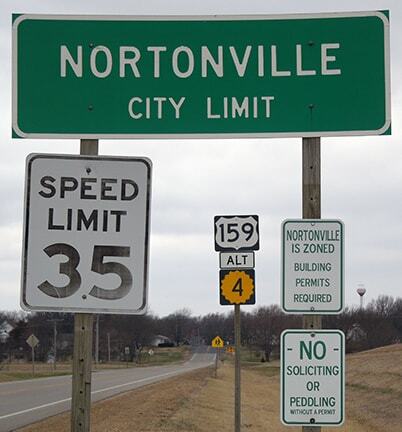 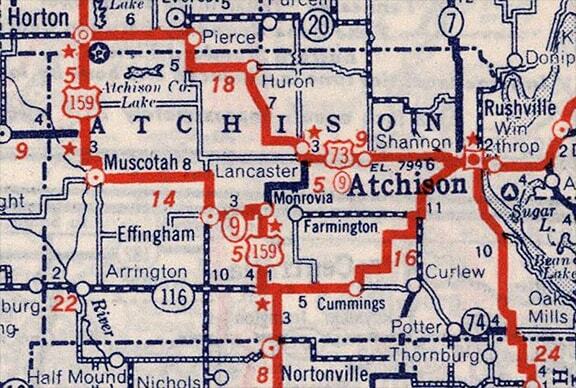 Actually, the most efficient route between Mound City and Nortonville involves I-29 and I-229 now. 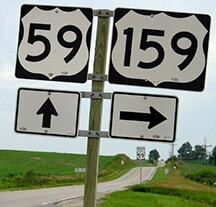 If one were to avoid the interstates and stay on US 59 the whole way, the distance would increase by nine miles. 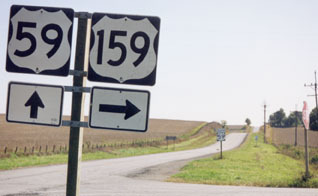 But if instead one were to use US 159 the whole way, the distance would increase by an additional seven miles (for a total of 16). 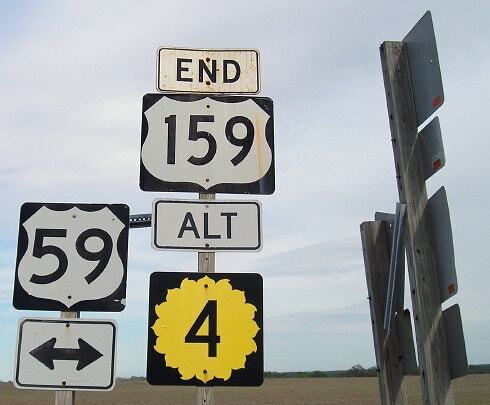 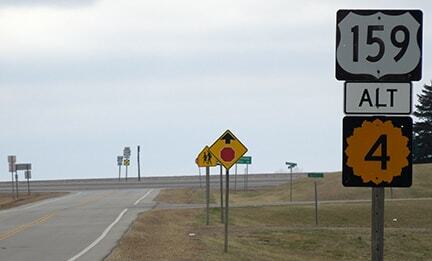 So very few travelers would have a reason to drive US 159 from end to end anymore, and as a result the route has only very localized importance. 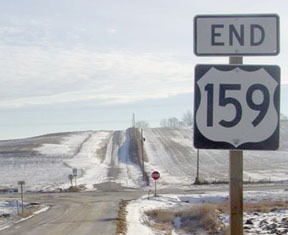 And unfortunately, one can no longer even enjoy a drive over the beautiful original Rulo Bridge: it was demolished in 2014, after its non-descript replacement opened to traffic in 2013.